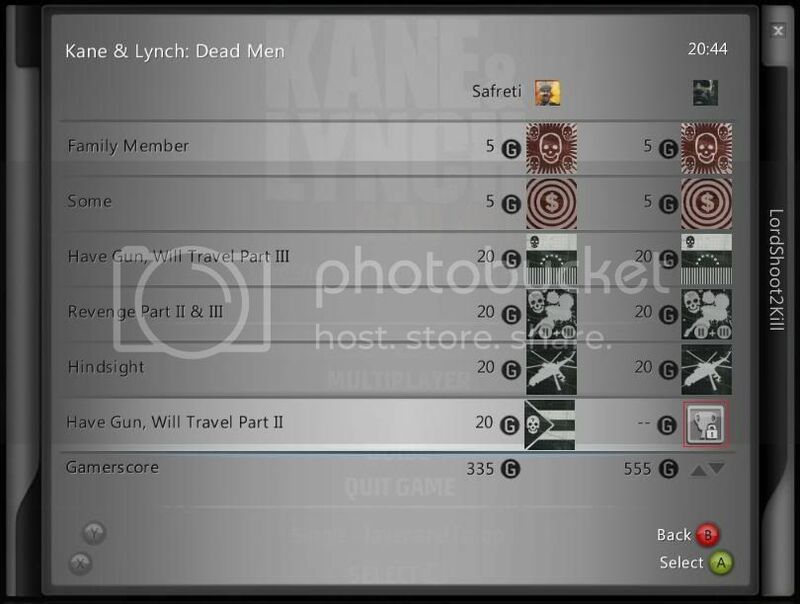 How do i get, 'have gun, will travel part II' i completed the game but didn't get it. Also i havent been getting any online achievements lately, no one else has either, do you need a gold account to get them now. I think when the game first came out it treated me as gold because i could even join ranked matches. You know the level where you rappel down the side of the building? After you go downstairs and outside fight your way to the bus station, and get into the van you will get that achievement on the next level it should be in havana, just when kane puts his arm in lynch's neck did it pop up for me. thanks, I've got it now, I dont know why i didn't get it first time round.